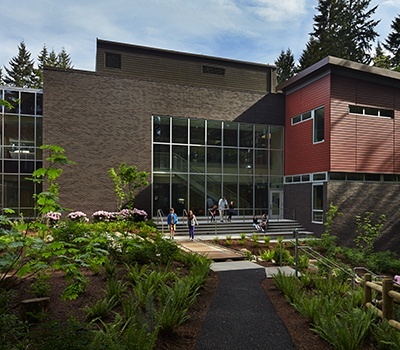 The new Cherry Crest Elementary is a two-story sustainable structure featuring expanded classrooms, collaborative learning spaces, and green roofs. 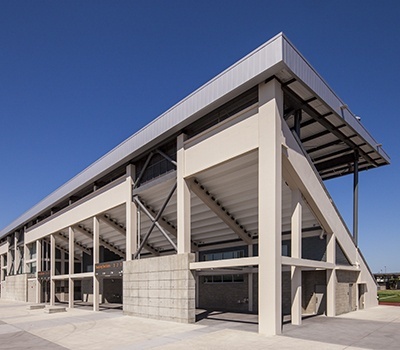 Our firm supported the project team by leading the BIM process, which increased planning efficiency and the ability for early clash detection. 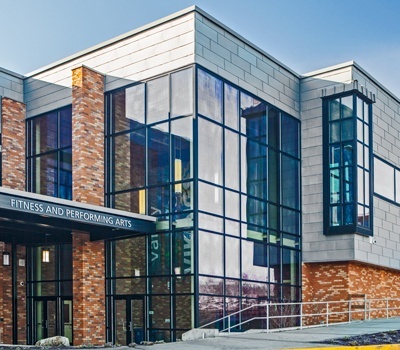 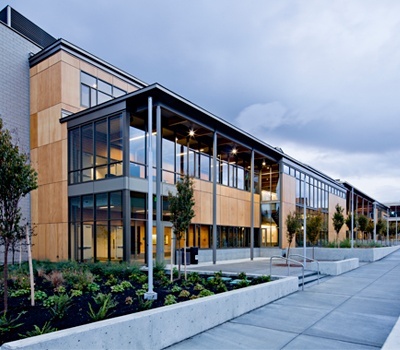 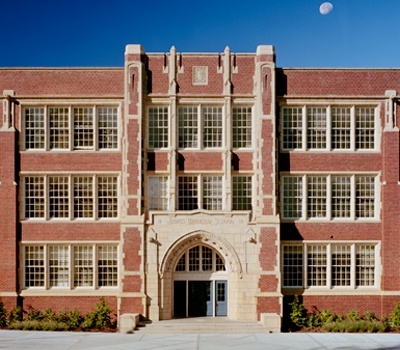 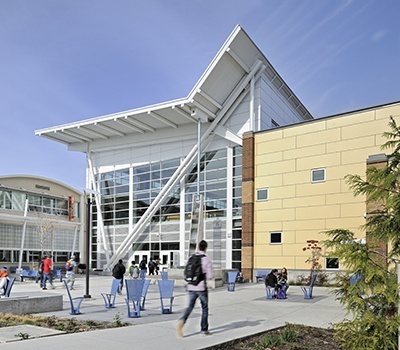 Inventive use of structural-steel framing produced significant cost savings while still maintaining the architect’s vision of a light and airy feel for the school. 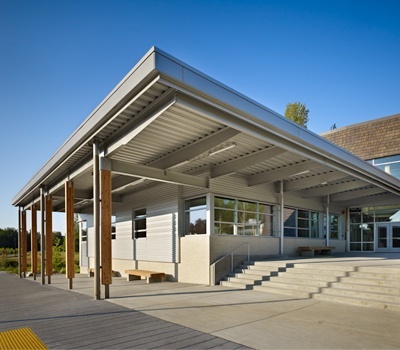 We developed a particularly innovative stormwater routing system that incorporates stormwater mitigation points over the entirety of the property and uses porous paving to treat runoff in parking lots and on the playground. 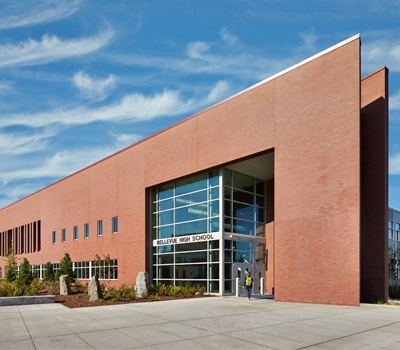 By using various natural landscape features, we eliminated the need for a large, costly detention system and further supported the owner’s goal of maximizing sustainability. 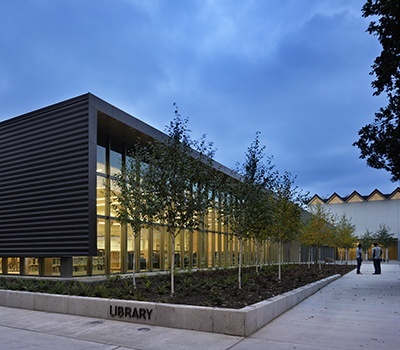 LEED Gold, A4LE 2016 "James D. MacConnell Award Finalist"